Chosen at random, these are three fascinating fauna commonly seen on an Aigas Wildlife week. In Scotland fulmars were known as mallemuck – a corruption of dutch words malle (foolish) and mok (gull) which refers to the ease in which sailors/fishermen would have captured them. 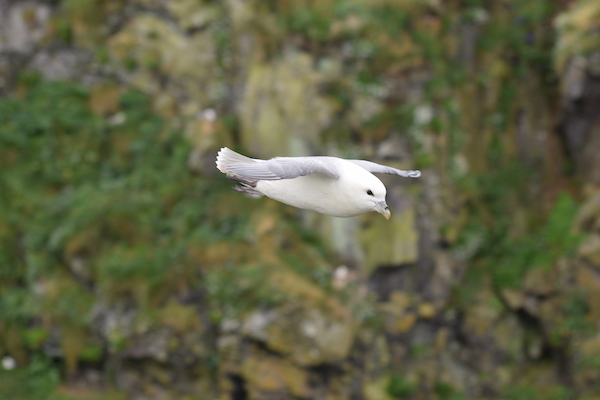 However, towards the end of the 17th century they became more commonly known as fulmars which is Old Norse, literally translating to ‘foul gull’. This name refers to the birds ability to projectile vomit a strong smelling oil to deter predators. Like their albatross relatives, fulmars can be spotted soaring gracefully along the tops of sea cliffs and only centimeters above the water. They have a varied diet consisting of sandeels, crustaceans, small squid and jellyfish. Due to the high consumption of salt, they have a saline secretion gland at the base of their upper beak. In the summer months we see fulmars congregate on Scotland’s sea cliffs to breed, however the rest of the year they remain offshore. On our Summer Birds programme we will see thousands of these extraordinary birds. We are lucky enough to have around 200 bottlenose dolphins in the Moray Firth. They are not only the largest of the species, reaching up to 3.8 meters, but the most northerly population of bottlenose dolphins in the world. Their size reflects the temperatures of the water – a thicker insulative layer of blubber is needed in our chilly waters. When feeding the dolphins use a sort of echolocation. Making up to a 1,000 clicks a second, the sound travels underwater until it encounters an object. The sound then bounces back, revealing information on the preys location, size and shape. Before ingesting fish prey, they ensure that it enters in the head-tail orientation to enable easy passage (to stop friction with the scales). They also eat squid, shrimp and crustaceans. 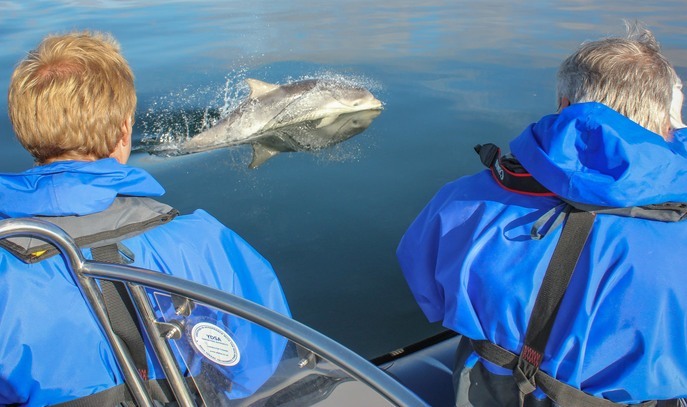 We are lucky enough to see dolphins regularly, specifically on our summertime Aigas Wildlife programmes. The last national census of barn owls (about 20 years ago) suggested that there were approximately 4,000 pairs of the beautiful birds. 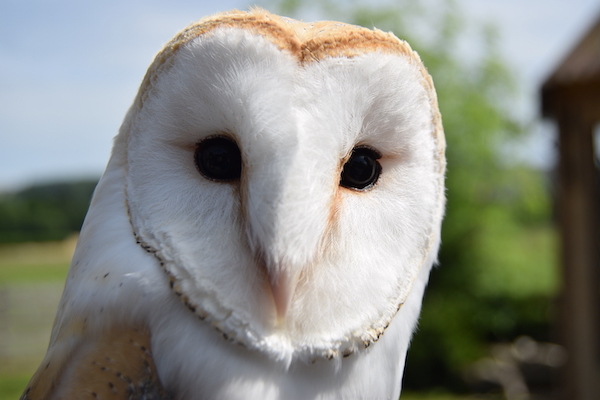 In 2017, however, studies by The Barn Owl Trust suggest that there numbers have greatly risen. This is super news. History has been cruel to these magnificent birds as folklore and mythology painted them as a sinister presence; animals of darkness and ghostly. This resulted in heavy persecution. Times have changed – the biggest threats nowadays include the loss of prey-rich habitats and collisions with road traffic. Their diet consists of small mammals – voles, mice, rats, shrews and some birds. They eat these whole and indigestible parts such as the bones, fur, feathers are regurgitated as pellets. We have a breeding pair of barn owls on the estate and often hear them in the evening.